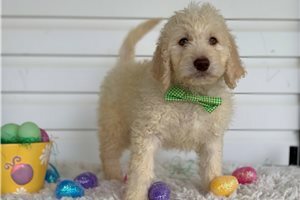 Sweet and snuggly mini golden doodle boy! 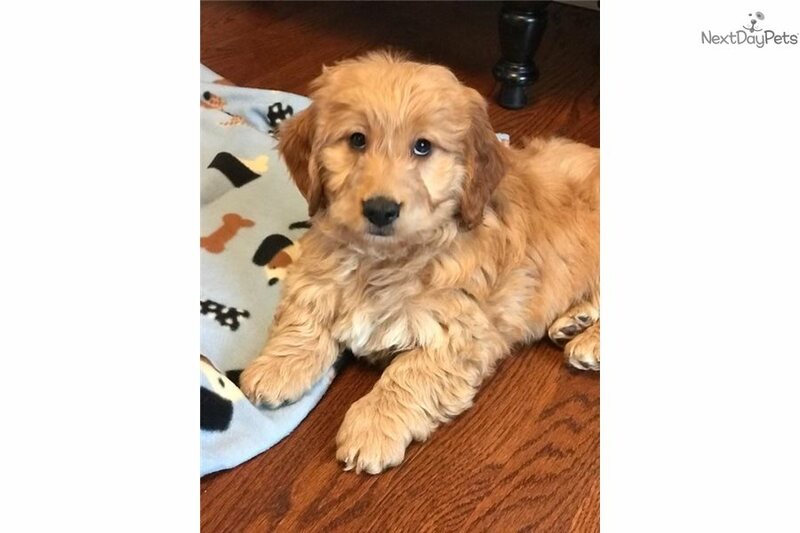 Harley is a first feneration F1 mini golden doodle, mom is a pure bred golden retriever and dad is a pure bred toy poodle. He comes with all of his shots and worming up date, written health guarantee, health certificate, travel crate, and training packet. He has started potty training on pads and a little outside, he is home raised and very well socialized, he will make a great family pet and companion. Serious inquiries only please! He is ready to go to his new home as of Monday January 22. Call 347-855-3150 to make an appointment.